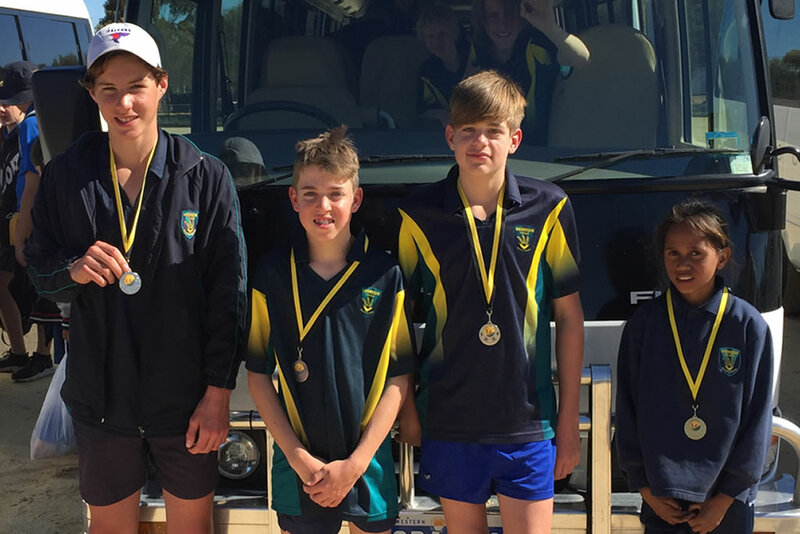 This year the Merredin College students put up another fantastic performance at the Meckering Inter-School Cross Country. The high school students that attended the excursion proved their worth during the intra-school cross country races and the primary students entered their best competitors from the Bruce Rock Cross-Country races. Twelve out of our fourteen competitors placed in the top ten in their respective races. Merredin College finished in 3rd place for the senior schools and in 7th place in the primary schools. Well done to all of the competitors and a big thank you to Kim Lane and Sarah Murphy for assisting on the day.